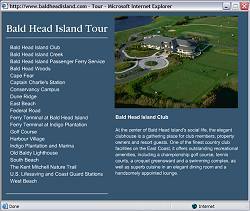 Bald Head Island Regatta - Apri 21-23, 2006 - Calling all F235! 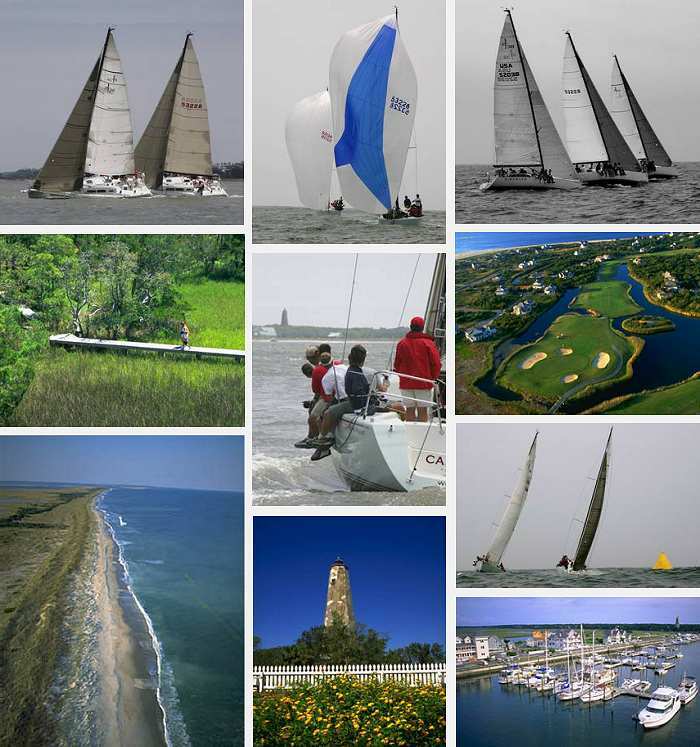 The 2006 Bald Head Island Regatta is in the record books! First 235 Team Lokahi, skippered by Kevin Meechan, took Class and C Fleet honors. See comments and pictures from Kevin on the BHIR experience by clicking on the Team Lokahi pic below. Congratulations to Kevin & crew and Scott Carle & crew aboard F235 Sea Puppy, who took second. Last April, we held the 2005 Bald Head Island Regatta and I would like to invite the Beneteau First 235s to participate in 2006. We provide free trailer parking/dockage for several weeks (flexible); free launching @ our private marina (Deep Point Marina, Southport, NC), free dockage on Bald Head Island during the event and deeply discounted dockage for the entire month of April. The venue is exceptional and the event offers both offshore and inland sailing for various classes. We allow 3 of a kind to determine a class within a fleet, thus allowing both 1 design and PHRF scoring for the same races. We’ve placed the event two weeks after Charleston Race Week yet prior to the Annapolis NOOD for those sailors traveling in the Spring. Please feel free to contact me for additional information. We are dedicated to making this event an enjoyable regatta for East Coast sailors. 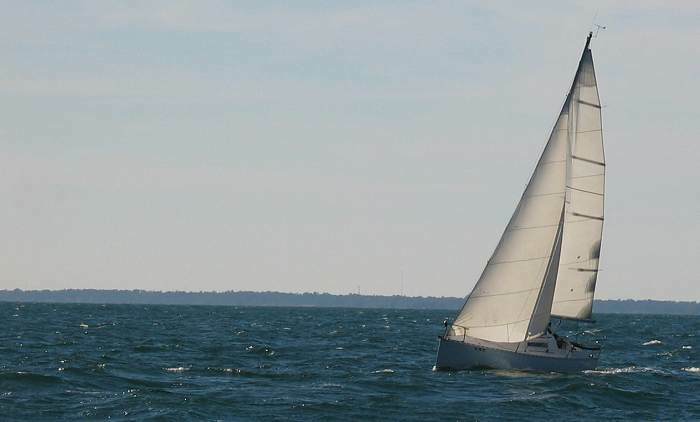 Scheduled for April 21-23, 2006, the BHIR is perfectly positioned to attract boats traveling between Key West Race Week, Miami Race Week and Charleston Race Week in the south to NCYRA, the NOOD, and Southern Bay Race Week to the north. 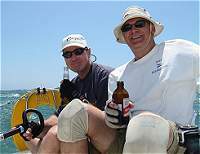 The event venue is Bald Head Island, North Carolina and is a premier vacation destination offering offshore and protected inland racing less than 30 minutes from the marina. On-shore, the Bald Head Island catering staff provides a 5-star experience at the Harbor Pavilion Tent site while the Recreation Department schedules multiple activities for the non-sailing support staff accompanying your crew. For the non-sailor land (and sea) based activities include tours on a Hinckley 29’ and 40’ VIP boats. The Hinckleys will take spectators on tours of the racing throughout both days. Other events for significant others who are not racing include wine tastings, bike tours, Golf, and all the standard Bald Head Island activities. Finally, check the regatta out from the Old Baldy Lighthouse for a bird's eye view! featuring the Cape Fear Yacht Works Bruce Marek designed Cape Fear 38.